There’s just a plain pink wall. It doesn’t look very enticing. 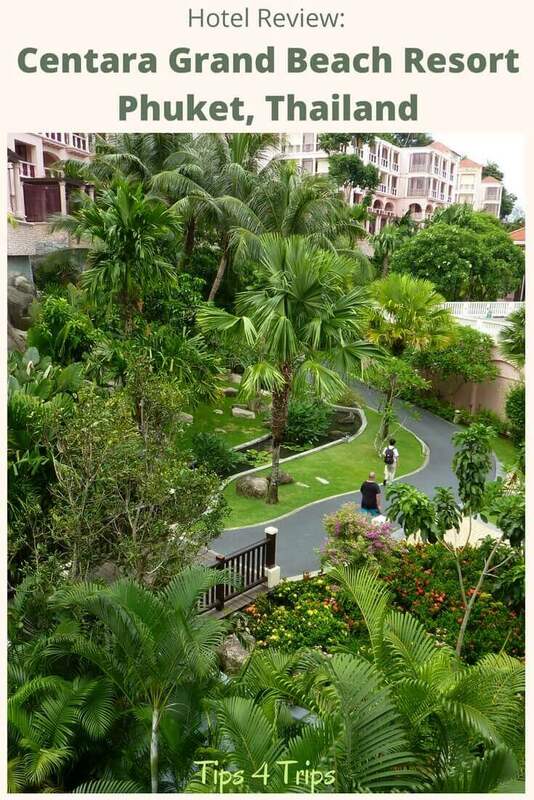 We are on the northern fringe of Karon Beach and about to turn off the top of hillside road into Centara Grand Beach Resort Phuket. But driving down the steep curved concrete driveway we are greeted by the turquoise blue Andaman Sea and the hidden stunning pale pink Portuguese inspired building. 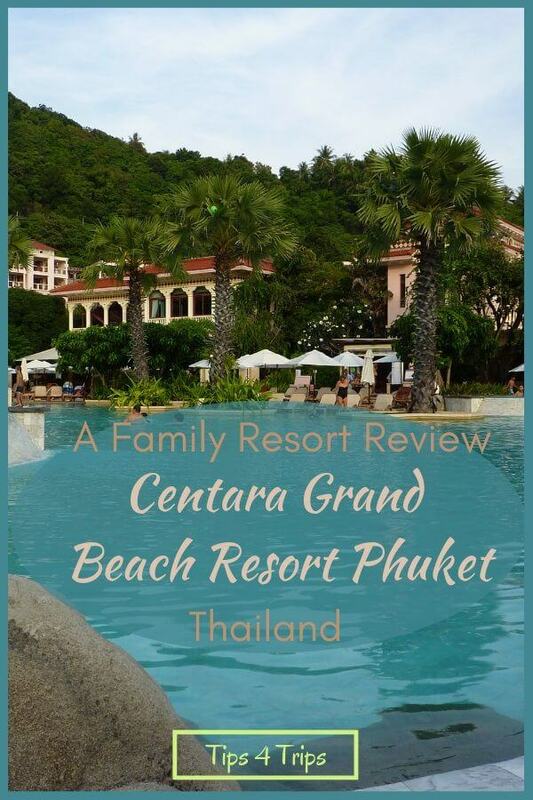 This is just the beginning of a delightful family holiday in Phuket and why I want to share my Centara Grand Beach Resort Phuket reviews with you. 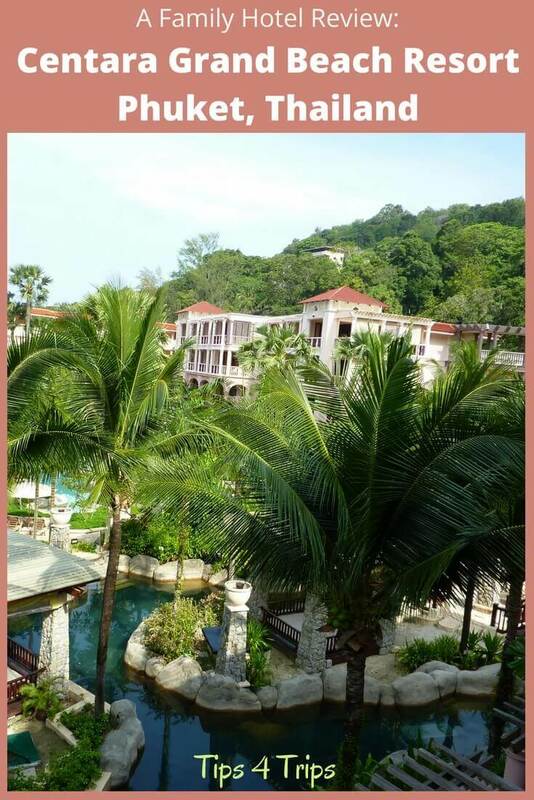 There are two Centara Karon resorts in Phuket, but as soon as we enter the grounds and lobby we can see why this one is known about town as the Centara Grand. We were very appreciative of the cool drink and towel offered as we sit on the brown island couch in the lobby after our two-hour drive from the Mai Khao Lak. The check-in process is efficient as reception staff gather our paperwork, collect the credit card deposit and check on our room status. Our room isn’t quite ready even though it is 3pm – the designated check-in time. 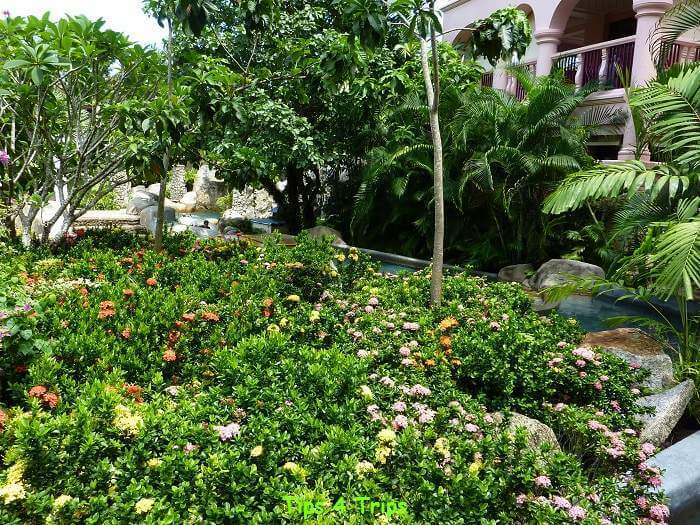 Without even a blink of the eye, the reception staff usher us (in a buggy) passed beautifully manicured green grass, pretty pastel flowers and a stream filled with fish to The Club. We make ourselves comfortable in one of the two wings of The Club on white cushioned timber chairs. How lucky are we? High tea has just been served. There’s a choice of mini club sandwiches, small cakes and scones, homemade shortbread biscuits plus cool juices and soft drinks or hot tea and coffee. But before we have had too long to overindulge concierge arrives to take us to our room. 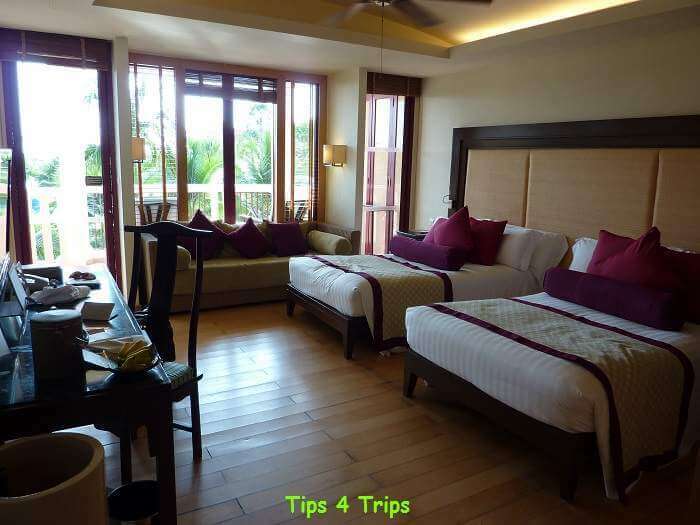 We are staying in the Deluxe Ocean Facing Room in what could be termed “the most basic” of the nine room or villa types at the Centara Grand Beach Resort Phuket in Karon. But saying it is basic is, well, quite unfair. As nothing at this resort is basic, it all oozes a casual elegance. Entering our room on the third floor a stocked minibar and fridge is immediate to my right (I later remove the contents and place in the adjacent cupboard to fill with our own goodies). Walking down the grey marbled hall I pass two oversized pale timber wardrobes. They have sufficient shelving and hanging space for all our clothes plus room to stash our cases. The hall opens out to the bedroom. I had ordered a double-double room on the suggestion of the hotel staff, who advised that the sofa bed was really only suitable for a small child. However, none of this appeared to be true. The double beds are so narrow that placing two pillows across the bed results in them hanging over the edges. Meanwhile, the sofa is actually long enough for even me to lay on, I’m 163cm tall or 5ft 3in. Fortunately, this is not an issue for the staff to fix. They immediately offer to push the beds together creating a giant king bed and make up the sofa bed. Within moments a room attendant is knocking on the door to rearrange the room. Lucky the ceiling fan and air conditioning are on – the poor room attendant is getting quite hot sorting this out so quickly. 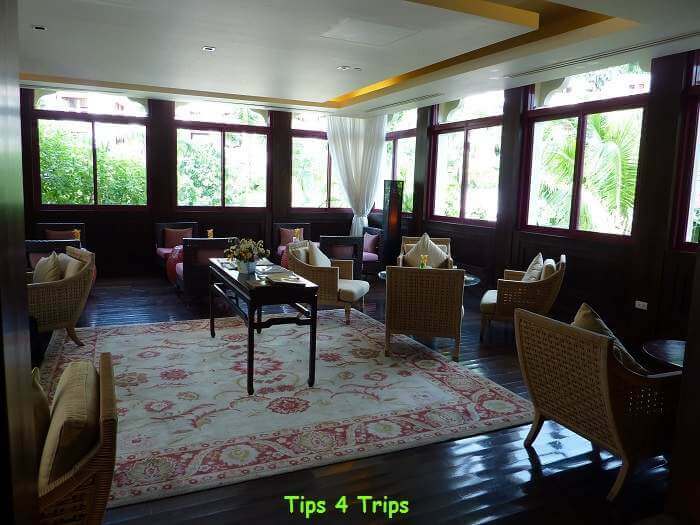 Before the concierge departs, she advises us how to log onto the WiFi that can accommodate up to four devices. Once this is all done, the room is perfect for our little family of three (two adults and one child aged ten years). The dual access bathroom is huge. You can either enter through the large pale sliding timber doors that can be closed to shut the room off or enter through a doorway in the hall. 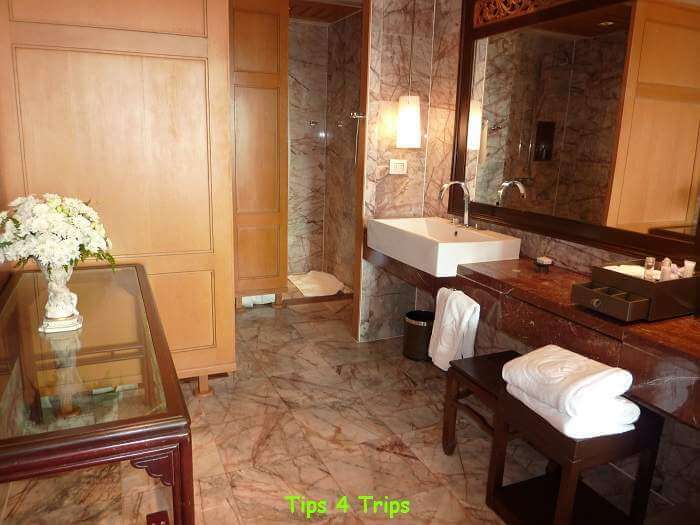 In the bathroom, there is a long glass top table which is perfect to lay out all our toiletries and keep them dry. A long burgundy mirrored marbled vanity is on the opposite wall filled with all the extra amenities of a spare toothbrush, soap, shower cap, sewing kit, cotton wool and buds. The standing shower has a rain and handheld showerheads. The toilet is separate. Though I do wonder if we have a mobility room as we do not have a bathtub as advertised and there are shower curtains in the shower and toilet doorway instead of glass doors. The only thing missing in the bathroom is somewhere to hang wet towels. Fortunately, there is a clothes horse on the balcony. Looking beyond the bank of windows through the timber venetian blinds I can see the pink terrazzo balcony with that clothes horse and a dark timber outdoor setting to sit out an enjoy the view overlooking gardens, pools and glimpses of the ocean. Our room is located in the family wing. Meaning it is close to all the fun family pools. 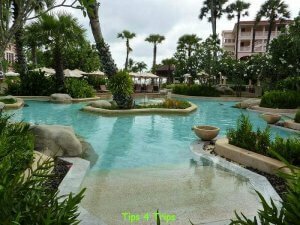 There are a total of five pools surrounded by lounge chairs under brollies or palm and frangipani tree filled manicured gardens. This pool is 0.9m deep. It appears to have a selection of waterspouts and multi-jet zones to relax under the surrounding white frangipani trees, but the jets don’t work. Has a depth of 1.3m and is where all the pool activities like water aerobics, water yoga, pool parties, water volleyball and more take place. This is where all the fun water facilities are located. The lazy river is a bit too lazy to take you all the way around on the free inflatable tubes to the more active attractions (I think only half the jets are going). 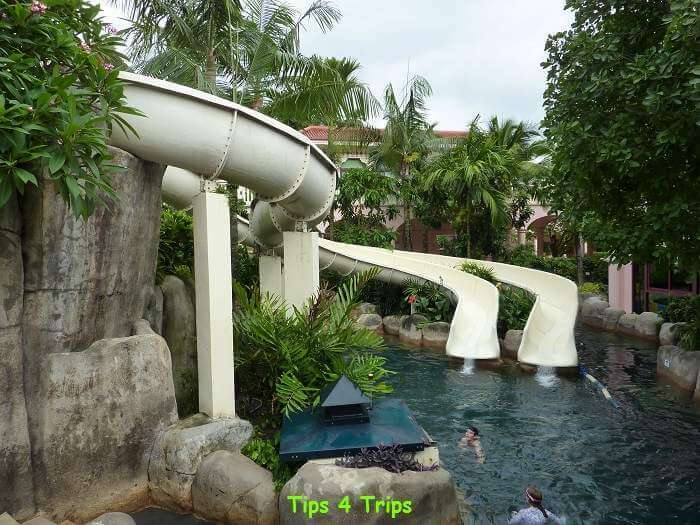 At the more active end, is where you will find two large water slides and a mini slider. Just be careful as the pool is only 1.2m deep and for adults, you hit the ground hard. My tip, tuck up your knees before landing. 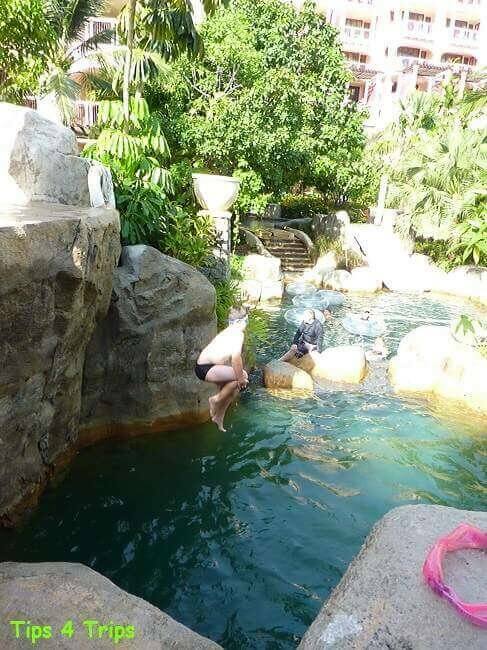 However, the pool is plenty deep enough at the jumping cliff – 4m. The jumping cliff is a hit with kids, teenagers and adults. A distance from the other pools is the adults only infinity pool. It is very tranquil up high on the cliff overlooking the Andaman Sea. Doing all that swimming can make you pretty hungry, so, fortunately, there are a few restaurants within the Centara Grand Beach Resort to choose from. I have to say that they’ve kinda got a captive audience for the poolside dining from Splash or Ripples (at the adults only pool). 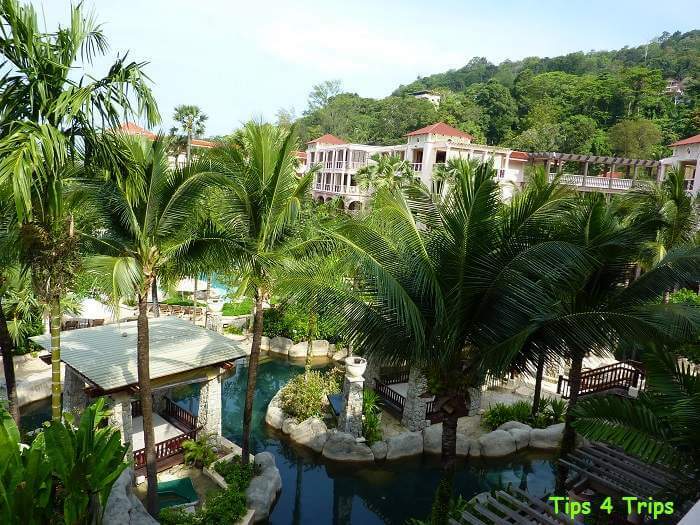 The resort is a ten-minute walk into Karon town, which can be quite hot during the day. But may well be worth the effort as the poolside dining is quite pricey. Burgers are nearly 450THB and toasted panini 350THB. Keep an eye out near the Barefoot Bar some days there are specials with Banana Roti or grilled corn on the cob and sausages. Another way to save on poolside dining is to either get a pizza to share or order from the kids’ menu items are about 230THB. 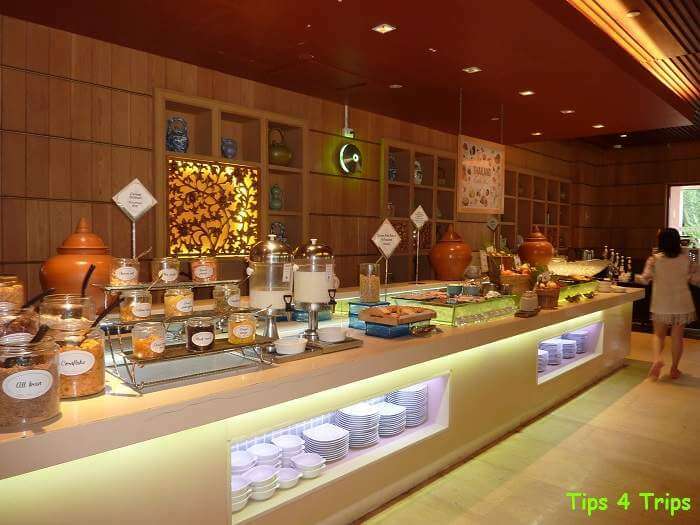 The meal sizes aren’t too bad especially if you have the buffet breakfast included in your package. Buffet breakfast is found at The Cove and this is where we start each day. The buffet has a grand selection of breakfast goodies. 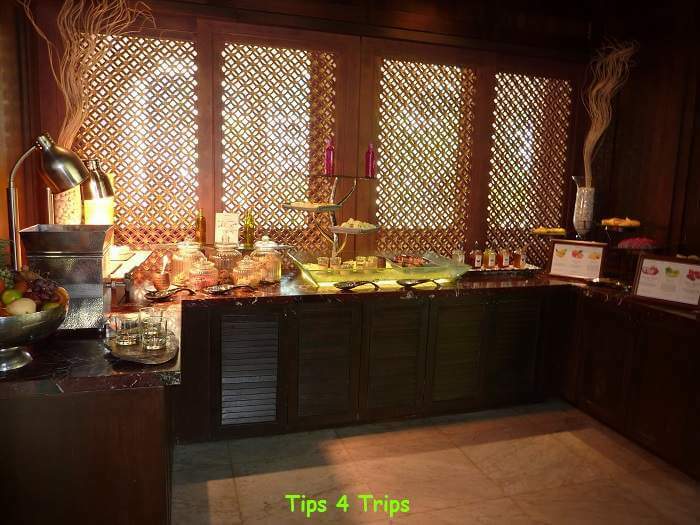 Starting with cereals, toast and spreads, more delectable bakery items, egg station with bacon and sausages plus a full Asian breakfast buffet. The Cove is also open throughout the day for a-la-carte meals with a buffet at dinner. If you want a different scenery then there is the Mare is open for lunch and dinner. This is where those poolside pizzas come from and we enjoy one, one evening. The restaurant felt very upmarket and it was lovely to have a night out that was a little more formal than the casual eateries in Karon Beach. If you like the sound of a nice meal out but are wondering what to do with the kids then Camp Safari kids club is open from 9am to 9pm with a special evening activities program. 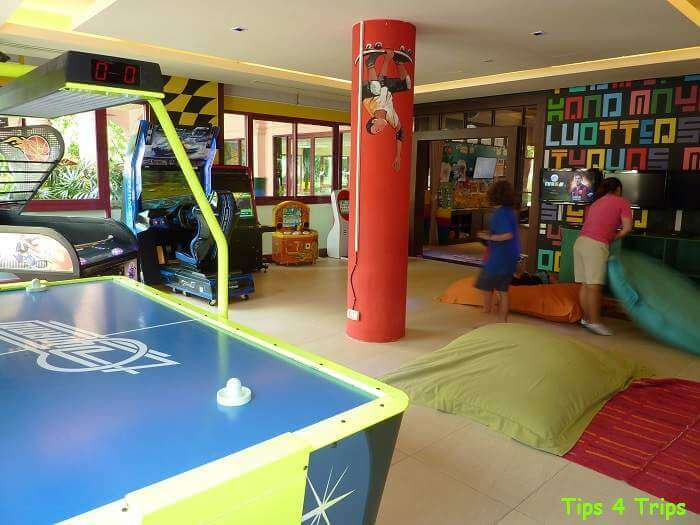 It is free for the kids to hang out in their club all day long – you just have to stay on the property. The kids club is broken into two zones. Camp Safari for youngster and E-Zone for tweens and teens. Camp Safari has scheduled arts and crafts each day some at a cost and some free. 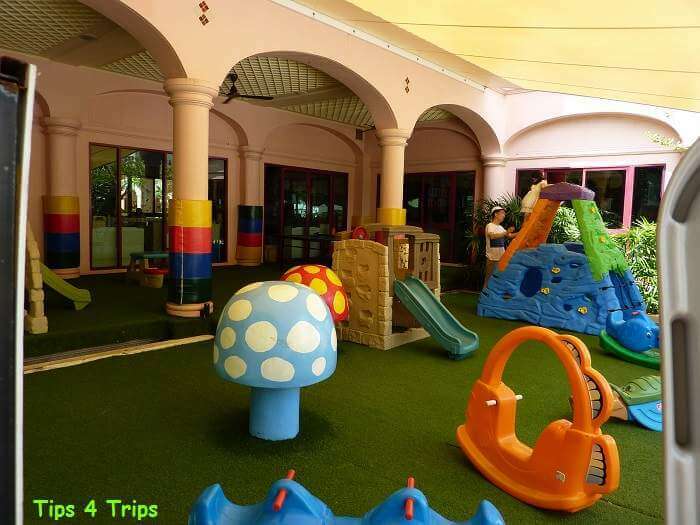 The young ones can also enjoy the outdoor shaded toddlers’ playground. My 10-year-old, however, loves the E-Zone. Seriously what boy isn’t going to love the opportunity to hang out with some new mates on the PS4 or beg for 10THB from mum and dad to play air hockey and shooting hoops. Fortunately, there is the entertainment crew to drag the kids away from the electronics. This exuberant group of four young adults from Europe run a fantastic entertainment program for all ages to enjoy. With CDee as their mascot, they have activities running from 9am starting with a colouring corner near The Cove – perfect so you can have that last cup of coffee in peace. 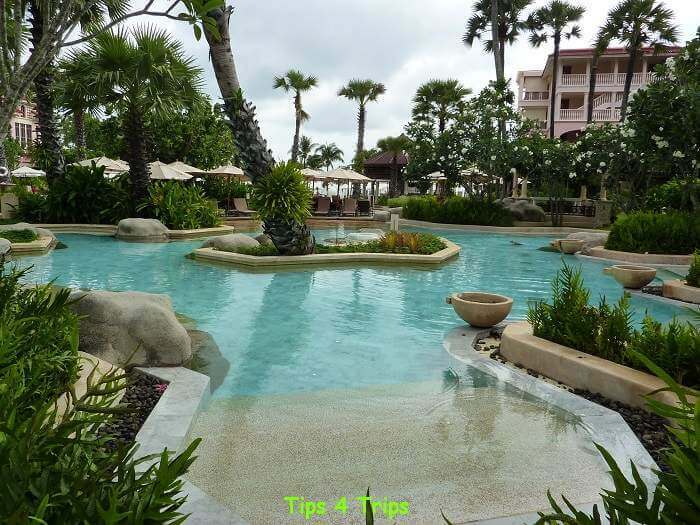 Then they can be found at the pool table or table tennis tables located around the main pool. 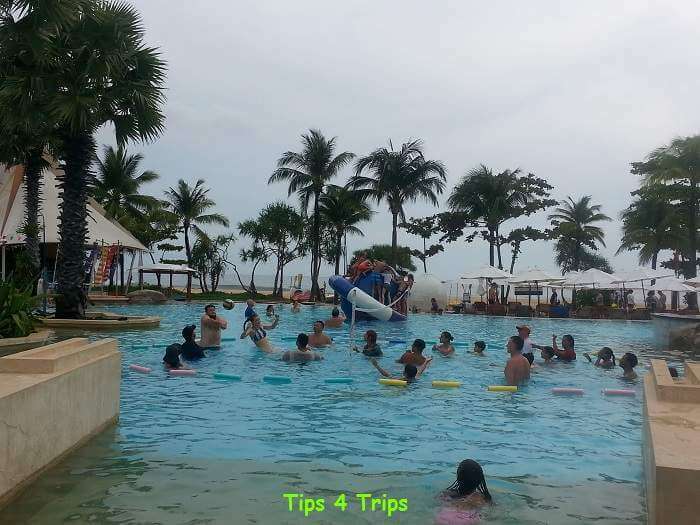 The entertainment crew also run the pool fitness classes and the afternoon poolside (pool party, water volleyball, water basketball) or beach (soccer, badminton and volleyball) games. All loads of fun and ensures you burn off some of that delicious food. Of course, if poolside games are not your thing or just want to escape the kids there is the fully equipped fitness centre. The fitness centre also runs yoga or pilates at 8am each morning (generally inclusive) and Mui Thai boxing at 1pm (additional cost applies). Other facilities at cost include the watersports of kayaking, windsurfing and sailing. If all this is getting a too much you can relax at the spa. With choices of one-hour massages to a half day of total pampering. Whew, I’m feeling a bit exhausted after all that. Wish I could run back to the club. As a club member, you are not only entitled the access to The Club you get free WiFi. Free WiFi is not standard with all bookings. Other benefits you receive with The Club include continental breakfast, all day tea and coffee, high tea, daily newspaper and a great place to chill throughout the day. When you visit the Centara Grand Beach Resort Phuket website take the time to join their Centara One The Card loyalty program. 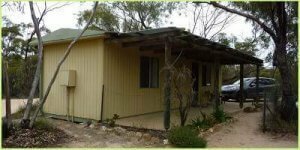 You will receive emails on specials and get a few extras when making a booking. We receive free WiFi as a member. WiFi is not standard at the Centara Grand. If like us, you don’t book through the website and use a travel agent or an online booking system like Expedia or Booking.com contact the resort after you have made your booking and ask them to add your Centara One card to the booking to receive as many benefits as possible. 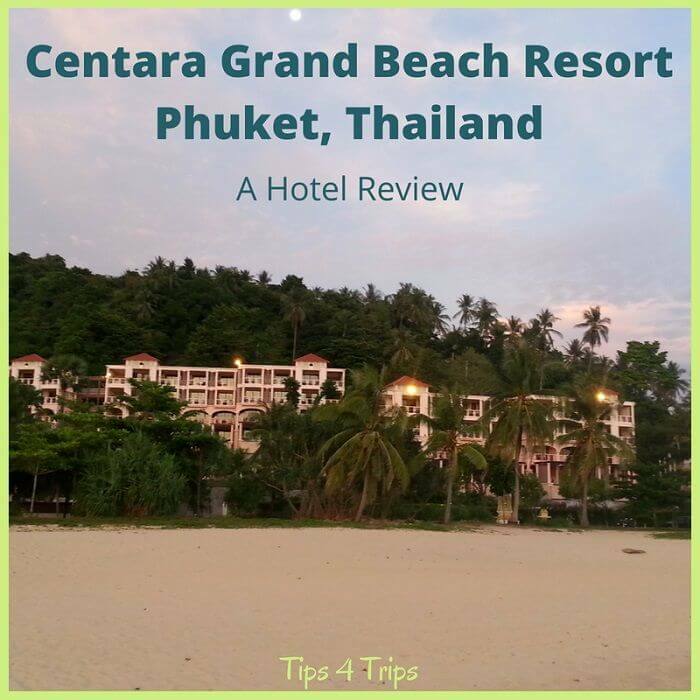 The Centara Grand Beach Resort is located on the northern tip of Karon Beach in Phuket, Thailand and making it just a tad isolated. 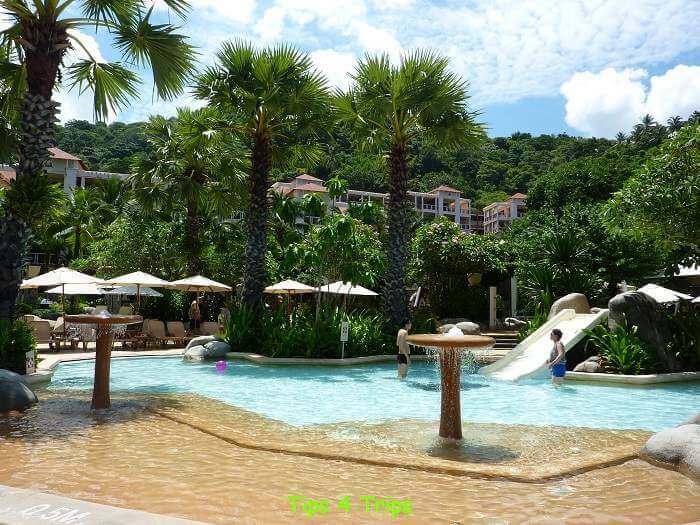 The resort is about a ten-minute walk into the main “eat” street of Karon Beach. You can either walk along the beach. This is the safer route particularly when the tide is out. Or walk down the steep road that has no footpath for the first 100m (a bit dangerous) however the rest of the walk is fine and even shaded for the most part during the day. To cross the canal look for the little bridge with railing, directly across from the Novotel Hotel. To buy any snacks, water and get your laundry done you have to take this walk as well. But you will find options at the very first set of shops and the prices are comparable to the rest of Karon Beach. The currency in Phuket is called Thai Baht. You will find currency conversion booths along the main streets of Karon. ATM’s can be found in minimarts and at the banks located on the main streets. For today’s exchange rate visit: Currency Converter. 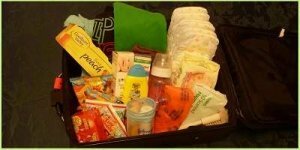 When packing for your trip to Phuket you will want the majority of items on the Ultimate Trip Packing List. 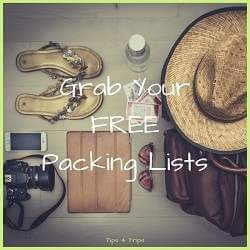 Find the entire packing list for Thailand beach trips HERE. You can also book an extra fold out bed or cot. I saw the cots in the hallway and was impressed that they were proper large wooden cots and not travel cots. As mentioned, there are a range of pools to suit your children’s needs just don’t forget to slip, slop slap and watch over them whilst they are in the pool. Lifeguards are only located at the jumping cliff and water slides. The only issues you will have is if you bring the pram or stroller. Some parts of the main pool are surrounded by sand. And getting into Karon Beach town with the stroller will be a bit of a struggle. The safe route is along the beach (not good for pram wheels). Alternatively, you can walk the first 100m along the steep busy road with a cliff drop next to you, before reaching the safety of the footpath. Once you reach town the footpaths become very congested with other tourists. 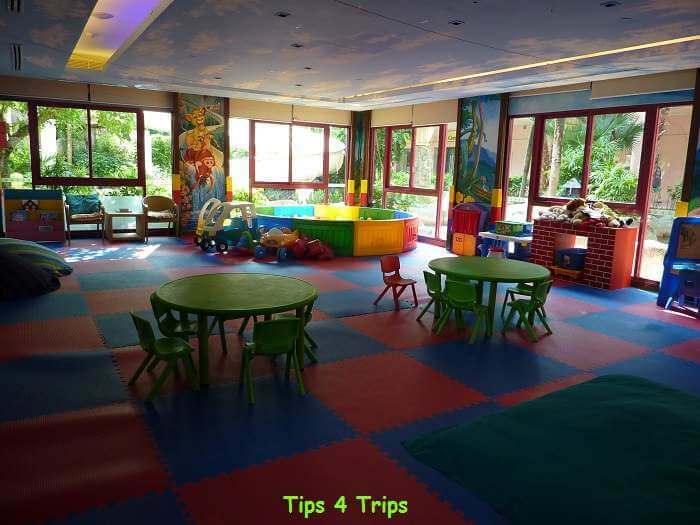 However as also mentioned the kids club has an evening program that includes dinner for the kids if you want to have a night out on your own. 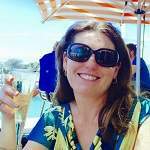 Karon Beach offers plenty of things to do for families and those without kids. 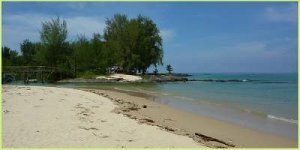 You can really be as lazy or as active as you want in Karon Beach and Phuket. 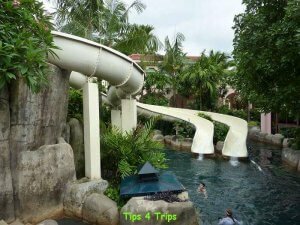 Things to Do in Phuket (this is an article I published on my original blog Toddlers on Tour. 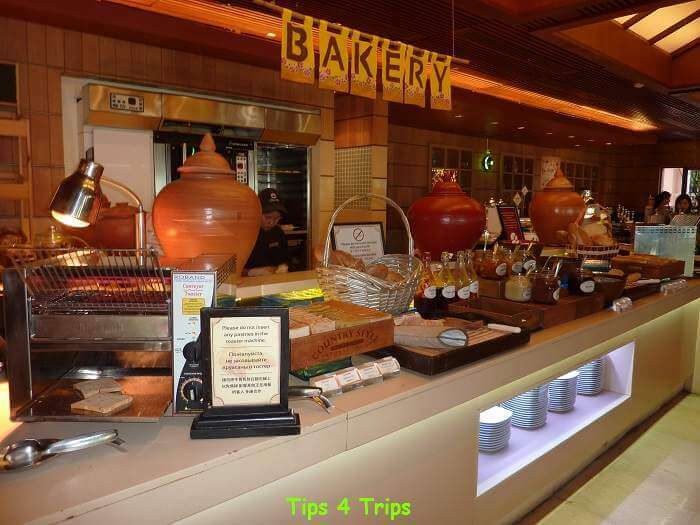 An updated version will be published on Tips 4 Trips soon. Sign up for my e-newsletter to learn when it is published. 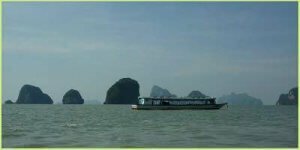 Visit Viator or Expedia to find the latest Phuket day trip trends. 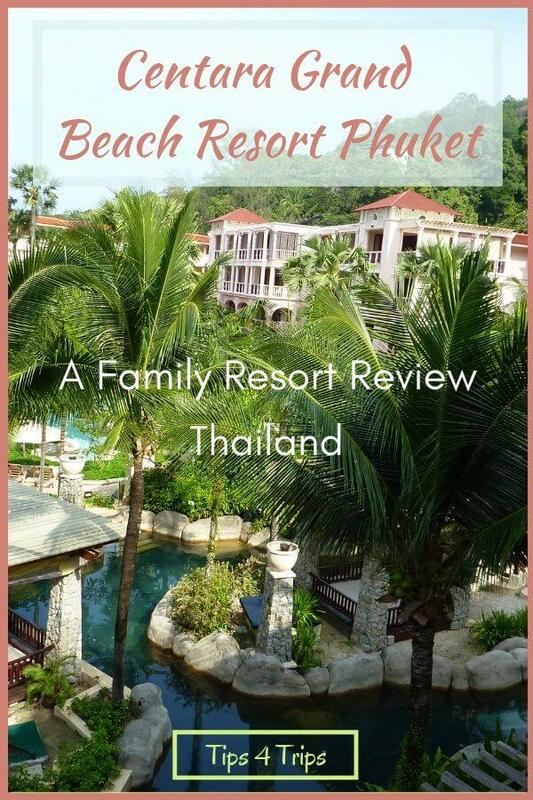 Or grab a copy of one of these Phuket travel guides. 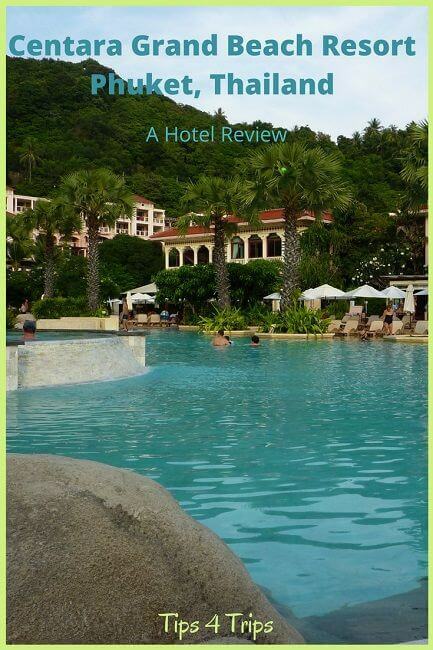 I have to say I have no hesitation in recommending the Centara Grand Phuket. 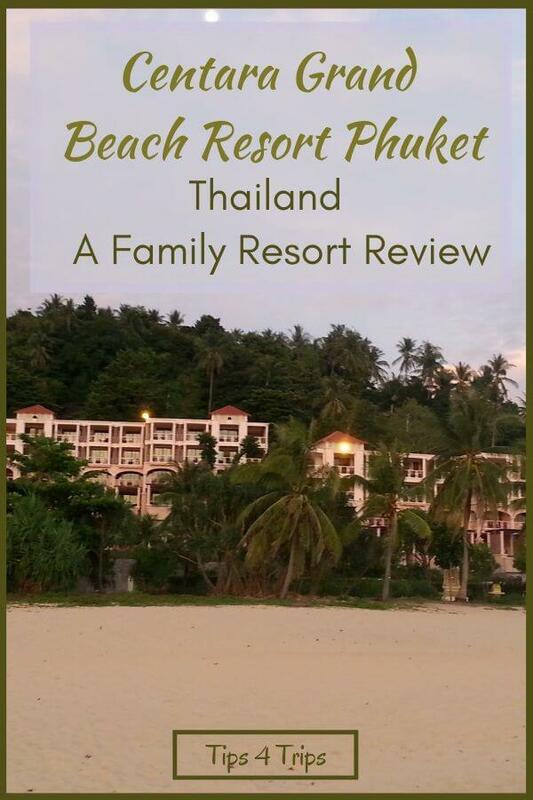 It is located on the very family friendly beach of Karon. There are loads of activities to keep the kids entertained. If you are wanting to stay without the kids you can escape to the tranquillity of the adults only pool, work out in the gym or indulge in the spa. I really can’t believe how much is hidden behind that pale pink wall at the top of the hillside road.